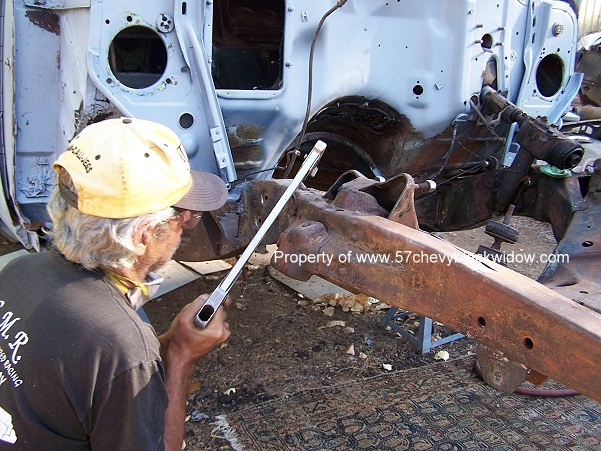 When you get your one fifty two door, the “guide” says, disassemble it. 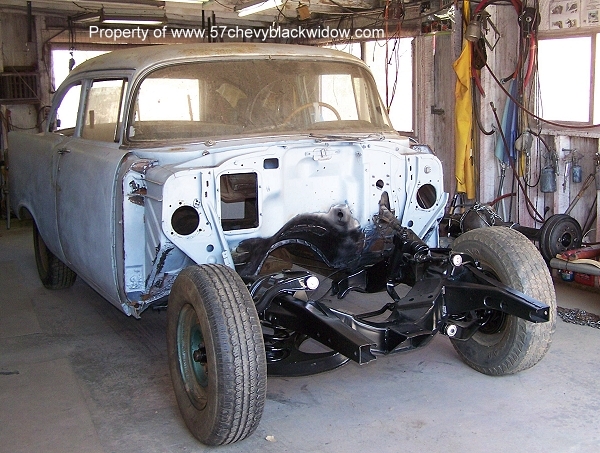 This one fifty was a drag strip project someone gave up on years ago. 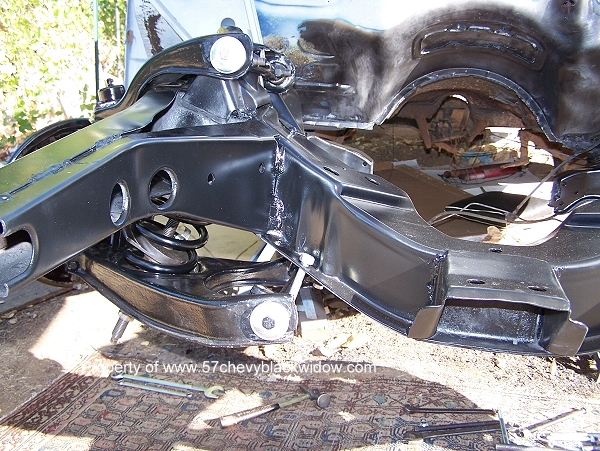 Fortunately it hadn’t been all cut up, or a rusted out mess. 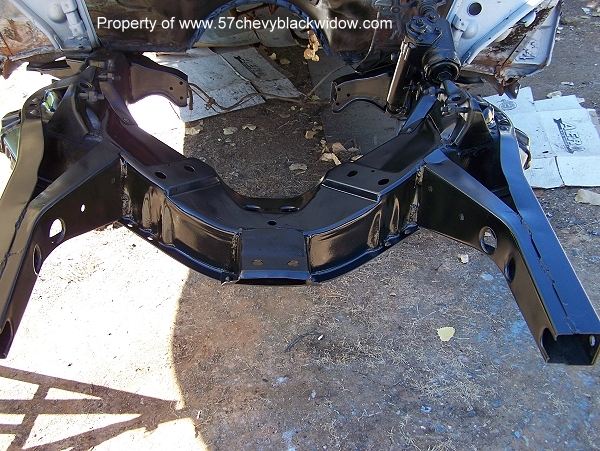 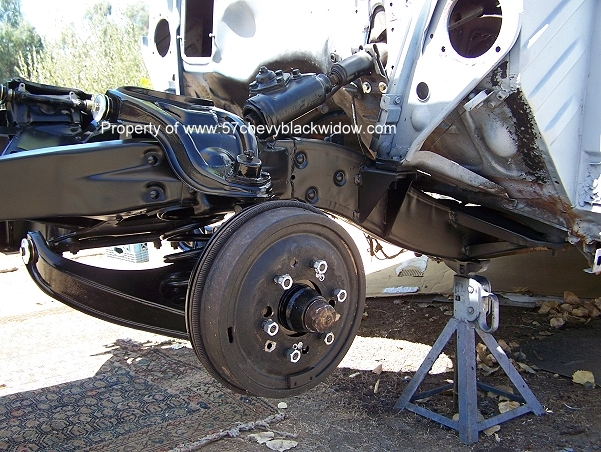 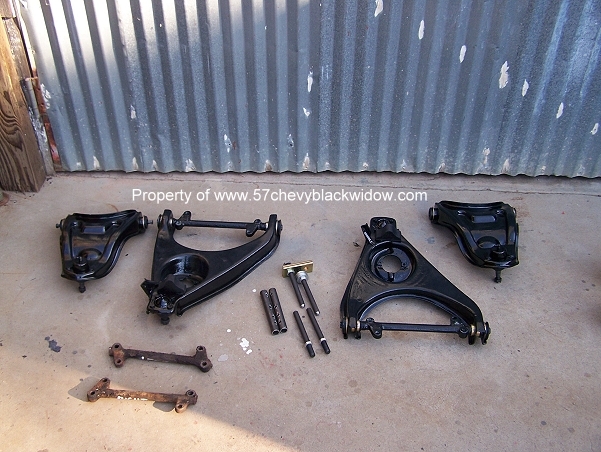 Scott “The Old Guy” rounded up the suspension parts to disassemble and sandblast, then cleaned the frame to bare metal, sprayed with galvanizing, then semi gloss black. 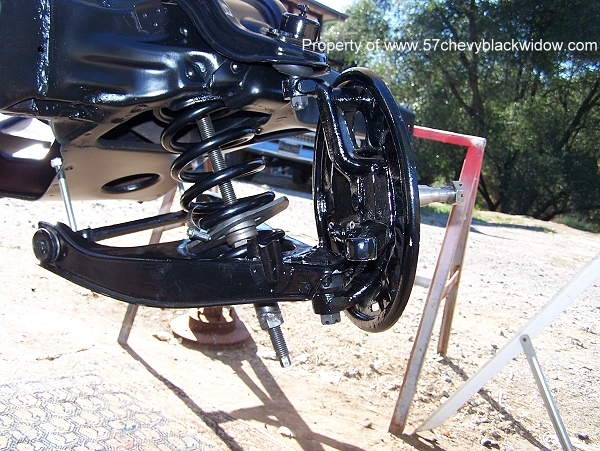 Assemble suspension components with all new parts. 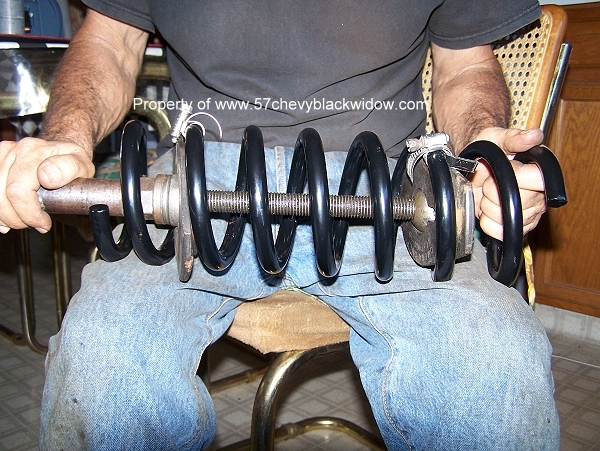 Using extreme care and proper spring compression, he installed components. 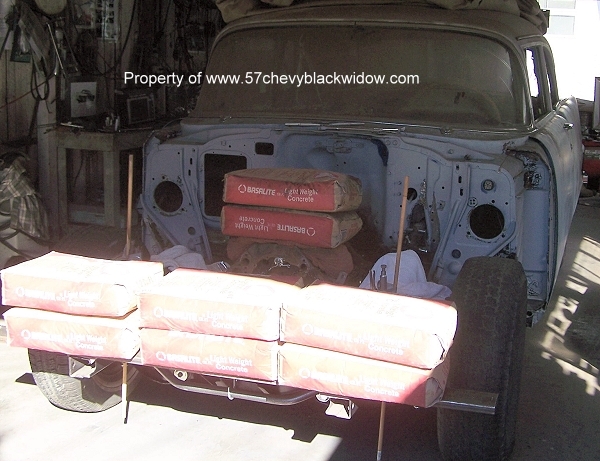 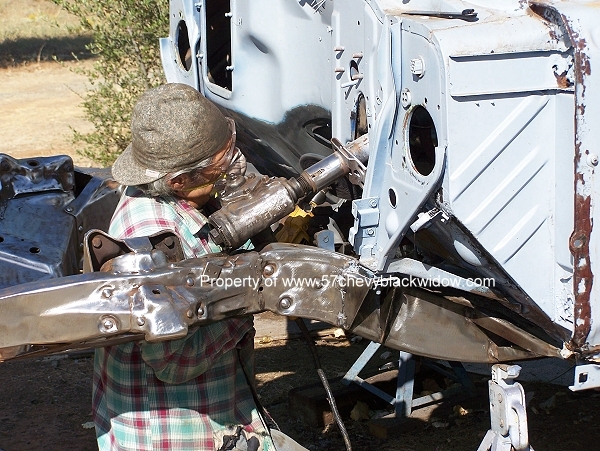 The “Old Guy” uses sacks of cement to weigh the front down to running height. 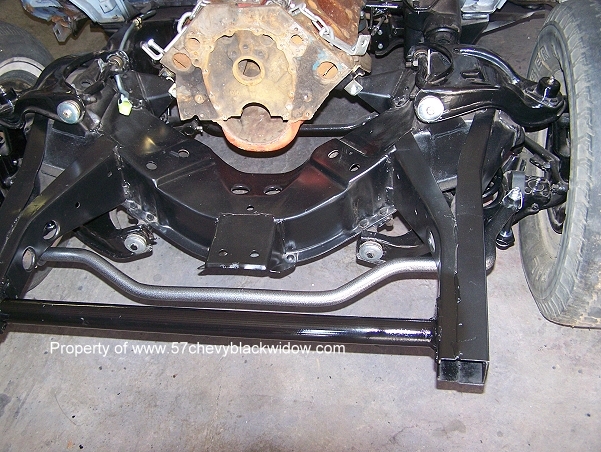 This was necessary to install the extra large front sway bar correctly. 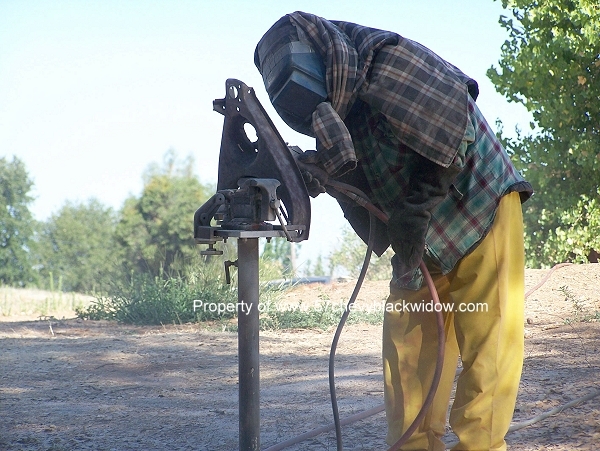 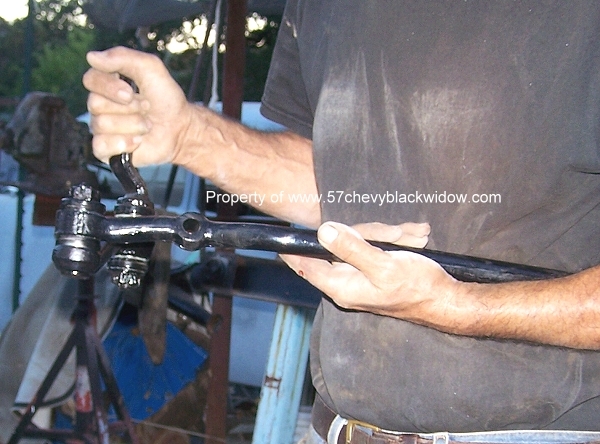 He needed to make up this frame horn cross member, necessary for the “Black Widow”. 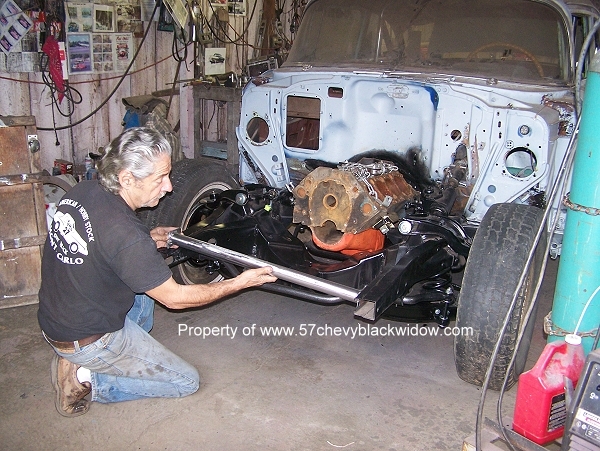 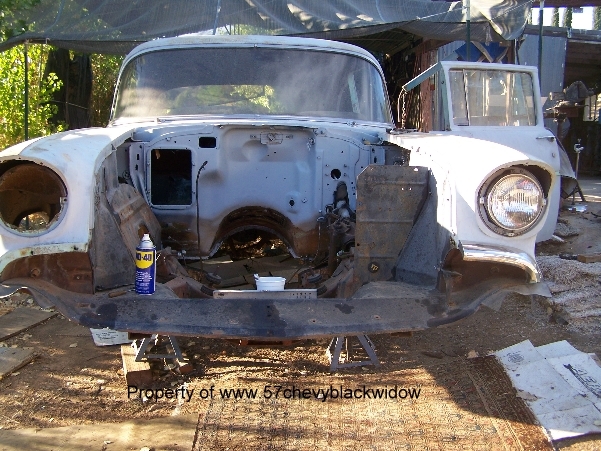 The production car has two frame cross members, the “Black Widow” has five.